This is a list of the best graphics cards for your hard earned money at every major price point as of April 2nd 2015. The cards that you will see below have been collectively chosen, based on current pricing and performance, after serious deliberation between all three hardware editors here at Wccftech.com. So you can rest assured that whatever we recommend here is what we would actually buy ourselves. Undoubtedly the most important piece of hardware inside any gaming PC is the graphics card. The faster the graphics card the faster our games will run and thus the higher graphical settings we can use. The general rule of thumb when building a gaming PC is to spend the most we possibly can on the graphics card until we hit the point of diminishing returns. At that point it’s advisable to spend money elsewhere rather than on the GPU. At this particular moment in time ,April 2nd 2015, the point of diminishing returns per graphics card is approximately at $330. Go over that and you’ll be vastly overpaying for meager performance gains. Note that I said point of diminishing returns per card, as in you can still get a good value by buying two $330 cards ( GTX 970/ R9 290X) as opposed to one $550 ( GTX 980 ) card. There’s also a point of diminishing returns on the other end, where if you spend less than $100 you’re not getting your money’s worth. So the ideal price/performance spending range right now is between $100 and $330, tip over and you’ll waste money, spend less and you’ll also waste money. For this spot gamers have two identically good options from both Red and Green. From AMD you can grab the R7 260X which can often be found around $100. This is the GPU that the XBOX One APU is actually based on, all be it the one Inside the XBOX One has two disabled compute unit out of the available 14 and a slower clock speed. Meaning that for 100 bucks you’re getting superior performance to the XBOX One. From Nvidia gamers should go for Nvidia’s entry level Maxwell card, featuring the cut down GM107 GPU. 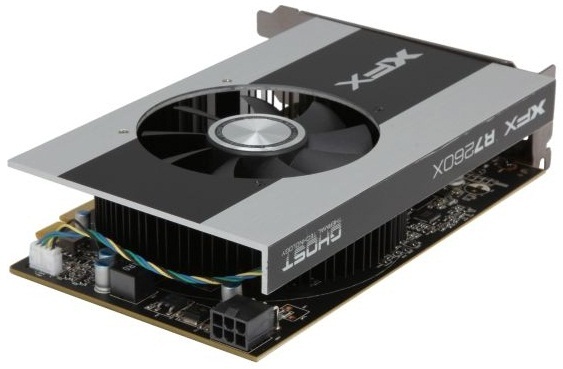 The GTX 750 just like the 260X can often be found for around $100. 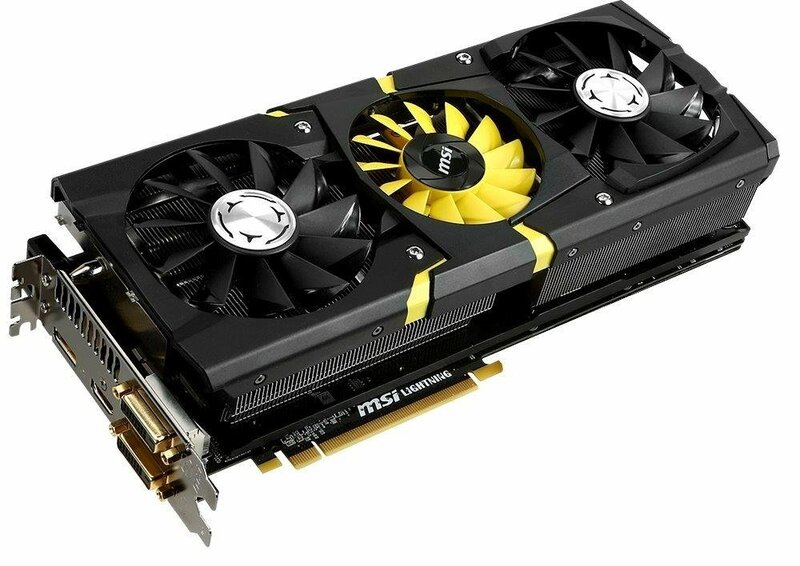 The card is also a mere 10% behind the GTX 750 Ti which is 40% more expensive. Making the 750 the better buy here. In the mainstream spot our pick is the Radeon R9 270 from AMD. The R9 270 features the same GPU configuration inside the PS4. But again, the one inside the console APU has two compute units disabled out of the available 20 and a lower clock speed as well. Which means that for $150 you’re transforming your PC into a gaming machine with better graphics performance than the PS4. Unfortunately at this price point there’s nothing compelling from the green side. Maxwell 2.0 has yet to trickle down to this price point and the GTX 750 Ti which is slightly cheaper is also measurably slower than the R9 270. Making the R9 270 the better value for this spot. In the midrange spot we find two brilliant but very different solutions from both Red and Green. 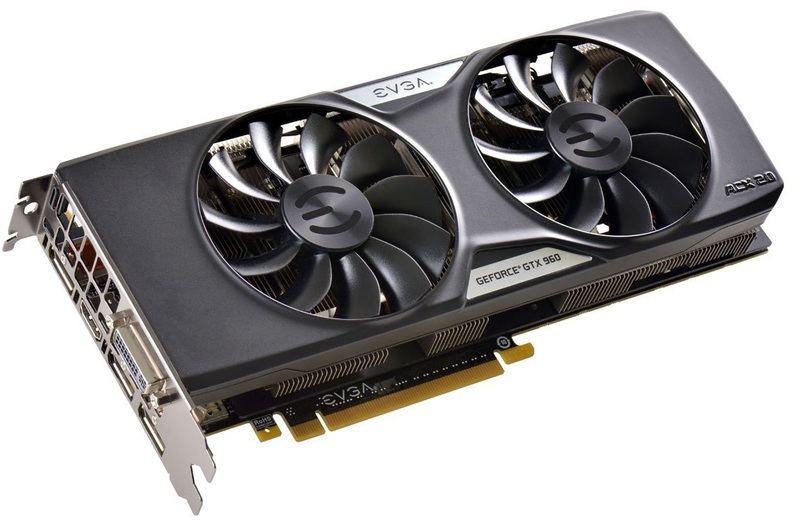 From Nvidia we have the GTX 960 2GB featuring the GM206 GPU. And from AMD we have the R9 280 3GB featuring the Tahiti GPU. Both cards can easily be found for around $200. The GTX 960 is an excellent performer at 1080p. 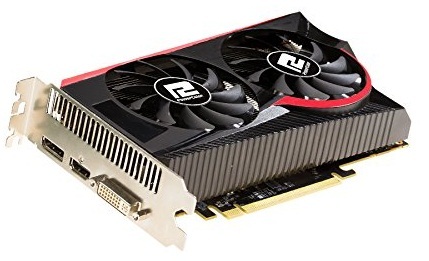 It’s small, efficient and noticeably more frugal with the watts than the R9 280. On the other hand the R9 280 comes with a frame buffer that’s 1GB larger and a memory interface that’s three times as wide, 128bit vs 384bit. So while both GPUs perform quite similarly at 1080p this advantage in memory capacity and bandwidth translates to better performance at higher resolutions and with memory intensive settings such as Anti Aliasing. It’s also not uncommon these days that you see VRAM usage reaching 1.7-1.8GB at 1080 while running triple A titles so the additional memory capacity can prove to be a boon for future titles. So while both cards are priced similarly they have very different qualities. For those reasons the R9 280 we believe will be the better overall pick for gamers who don’t stand to benefit from the 960’s qualities . However due to the GTX 960’s smaller thermal footprint and its availability in more compact sizes means that its better suited than the R9 280 for small form factor ITX builds. And its lower power requirement could be of benefit to gamers with lower wattage power supplies. 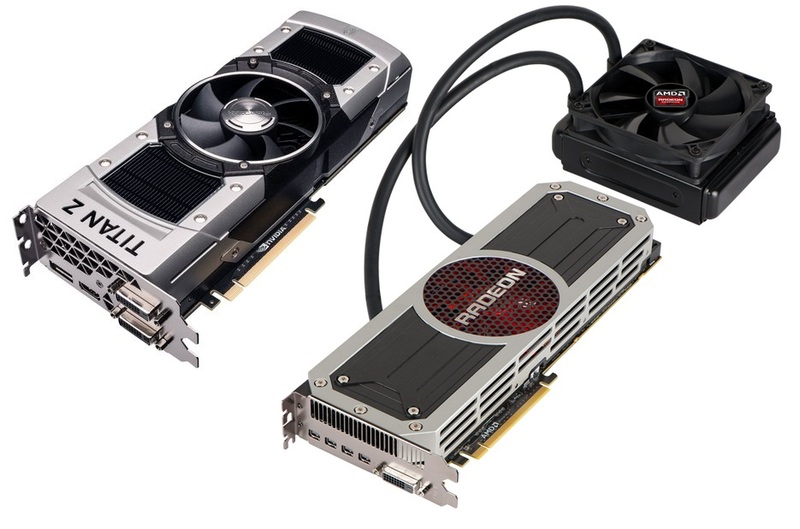 AMD’s R9 285 can offer similar benefits to the GTX 960. It’s available in an ITX form factor and the GPU produces less heat compared to the R9 280. But because it’s more expensive than the R9 280, costs almost the same as the R9 280X, and comes with 2GB of VRAM instead of 3GB. 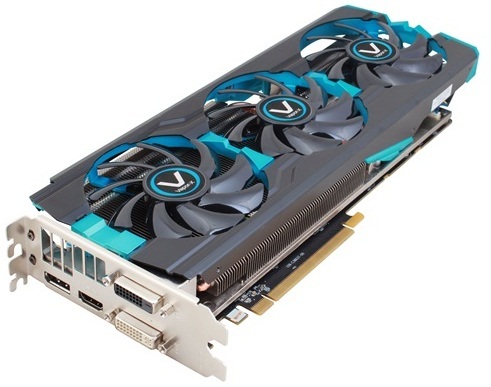 We believe that the R9 280 represents a better value. Moving on to the $200-$299 range. There are a couple of good options from AMD at this range, but unfortunately Nvidia has yet to introduce any 900 series cards in this segment. 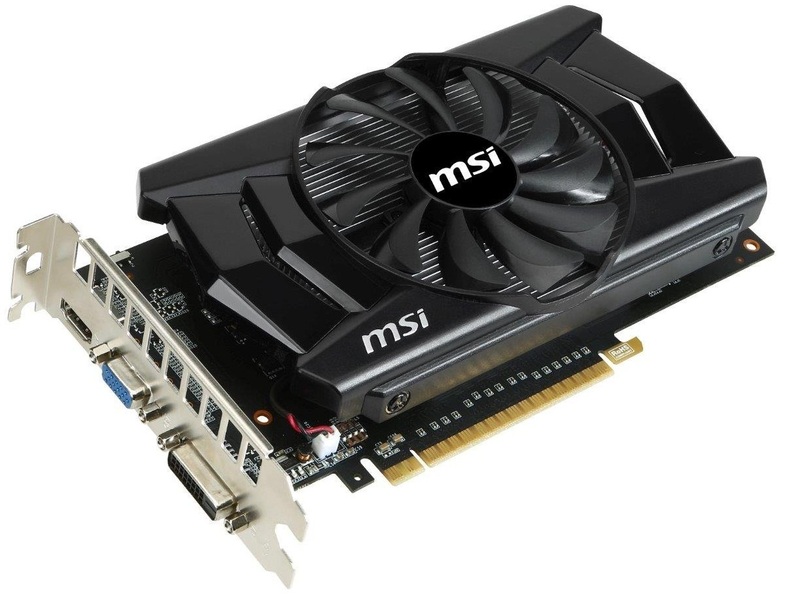 Older 700 series cards such as the GTX 770 and GTX 760 have been discontinued. A few can be found but unfortunately they’re not a very good value due to their older pricing structure. It used to be that you could easily find R9 290 cards with good aftermarket cooling solutions such as the Sapphire Tri-X and the Gigabyte Windforce between $249-$269. 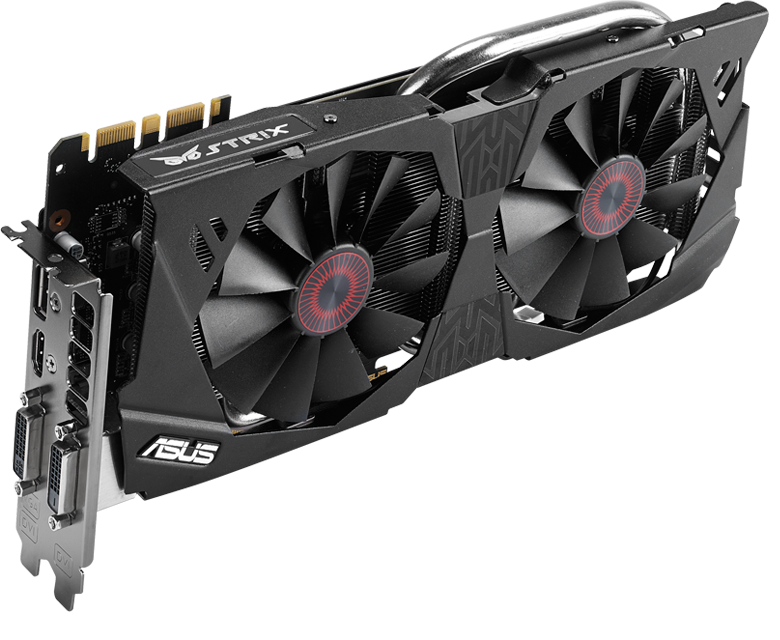 However as of right now most R9 290 cards are priced at around $279 or more, putting them too close to the GTX 970 and R9 290X which can be commonly found for $309-$319. But be on the lookout for good deals on these cards regardless as AMD Add-In Board partners will continue to clear their inventories. Right now there’s one particular R9 290 that represents a very good bang for the buck at $259. However we can’t make a long term recommendation based on one particular deal. So at this price range our recommendation will go to the R9 280X. You can find Sapphire’s outstanding Vapor-X R9 280X for $239 on Amazon.com and the Windforce 3x version from Gigabyte can be found for the same price on Newegg.com. At the high end our recommendation will go to the GTX 970 and the R9 290X. Good aftermarket cooled versions of both cards can be found in the $309 to $349 range. The GTX 970 is again more frugal with the watts than AMD’s older R9 290X which also means that the 970 will produce a smaller thermal footprint. Depending on the resolution however the R9 290X can be faster and smoother. And for most gaming PC enclosures with decent airflow the heat output will not be an issue. So for 1080p we’d recommend the GTX 970. At 2560-1440 the R9 290X is marginally faster but it measurably extends its lead at 3840×2160. In addition, because its memory doesn’t rely on the two segment system of the GTX 970 3.5GB + 0.5GB, with the latter 0.5GB performing at a fraction of the speed. The performance and consistency will not be affected when VRAM usage goes over 3.5GB. Which can occasionally occur at 2560×1440 and more commonly at 4K. This won’t necessarily be an issue when running a single GTX 970. Because if you’re hitting over 3.5GB of VRAM usage the game is probably already too demanding for a single GTX 970 to produce playable framerates anyway. Essentially running out of GPU horsepower before hitting the VRAM bottleneck. Where VRAM usage is more of an issue is when two or more GTX 970 cards are used in SLI. Because at that point you’ll have access to enough performance to crank up the settings and hit 3.5GB of memory usage. At which point the issue will crop up producing a choppy and unenjoyable experience. Finally if you’re looking to spend even more than $330 on a GPU we’d recommend buying two of the previously mentioned cards. As we believe that will offer a significantly better performance for the cost verses the next step up which is the GTX 980. At $549 the GTX 980 is 67% more expensive than the R9 290X and GTX 970 but only 15% faster than the GTX 970 at 1080p and 10% faster than the R9 290X at 2560×1440. Past a dual GTX 970 or R9 290X configuration you’ll simply hit the point of diminishing returns as mentioned earlier in the article. While faster options do exist, they come at a disproportionately higher cost.